There have been quite a lot of questions like the above ones about the Amazon Kindle Unlimited service. It has been quite common. If you happen to have the same questions, the below content would be exactly what you need. We would like to make a detailed introduction to Amazon Kindle Unlimited service, along with some useful solutions upon Amazon Kindle eBooks reading. As we all know, the Amazon Kindle is a series of e-readers designed and marketed by Amazon. You could use Kindle devices to browse, buy, download, and read e-books, newspapers, magazines and other digital media via wireless networking to the Kindle Store. Also, Kindle is a eBook reader app that has now been available for iOS, Android, Mac and PC, with the same functions as that of Kindle devices. The Kindle Store provides millions of eBooks for you to purchase, download and read on Kindle devices and app. Amazon Kindle Unlimited is a subscription that allows you to access a large selection of titles from the Kindle Store. After you subscribe Kindle Unlimited service, you have access to over one million titles including books, audiobooks, and magazines from the Kindle Store. You can borrow up to ten titles and access them from any Amazon device or Kindle reading app. There are no due dates. You could change the titles in the Kindle Unlimited catalog anytime you like. Kindle Unlimited offers a free 30-day trial period before you could turn to pay for a monthly subscriber, which costs you $9.99 per month. When the free trial terminates, Amazon will automatically upgrade your account to a Kindle Unlimited plan. To use Kindle Unlimited, you must have an Amazon account with a current, valid credit card and you must have 1-Click enabled. The Kindle Unlimited subscription could also be obtained as a giveaway gift or a part of bundle. You will be reminded paying for the subscription fee once your subscription expires. You could cancel Kindle Unlimited subscription anytime you like, but Amazon won’t provide refund for unused months if you have the subscription from giveaway gift or a bundle, and you can’t restart the subscription from the giveaway or bundle. Firstly, how much is the Kindle Unlimited subscription? As mentioned above, you could get Kindle Unlimited subscription from giveaway gift or a part of bundle. But when these expire, you have to pay for $9.99 per month to continue the subscription service of Kindle Unlimited to enjoy its full features. Secondly, which books are available on Kindle Unlimited? The KU subscription will give you access to thousands of popular magazines and best sellers. Interestingly, Amazon also offers books with Audible narration with this subscription. Perhaps the best selling point of the Kindle Unlimited is its long list of bestsellers that is constantly updated. That’s to say, nearly all popular books and magazines could be available in Kindle Unlimited. Thirdly, some people might wonder if they could get Kindle Unlimited services with Amazon Prime and other Kindle devices. Actually, all devices with a Kindle app could make use of this KU subscription. You don’t even need a Kindle device to subscribe Kindle Unlimited service. The below would summarize the advantages and disadvantages of Kindle Unlimited service for you. 1. Unlimited eBooks available for totally free. 2. New authors will be easily available. 3. Tons of magazines and audiobooks titles available. 4. Read books on the move in offline mode. 1. It’s not for everyone: though KU has tones of book and magazine titles, you may not find the ones you want if you are picky about books. 2. The catalog could be a little better. 3. Public libraries in the US offer eBook subscriptions that are more attractive with many more titles in the catalog. 4. Not too many bestsellers available in KU. 5. Books will disappear after you cancel the subscription. 6. You need to pay for $9.99 per month for the subscription fee. It would depend on your own requirements to stop subscribing Amazon Kindle Unlimited service or not. Many people have chosen to cancel Kindle Unlimited subscription. The below part would show you how to cancel Kindle Unlimited subscription in detail. 1. Go to Manage your Kindle Unlimited Membership. 2. Under “Manage Membership” select “Cancel Kindle Unlimited Membership”. 3. Select “End Membership on [DATE]”. It should be noted that when you cancel Kindle Unlimited membership, your benefits will remain active until the date you set. After that, you will lose access to Kindle Unlimited content that you have checked out. 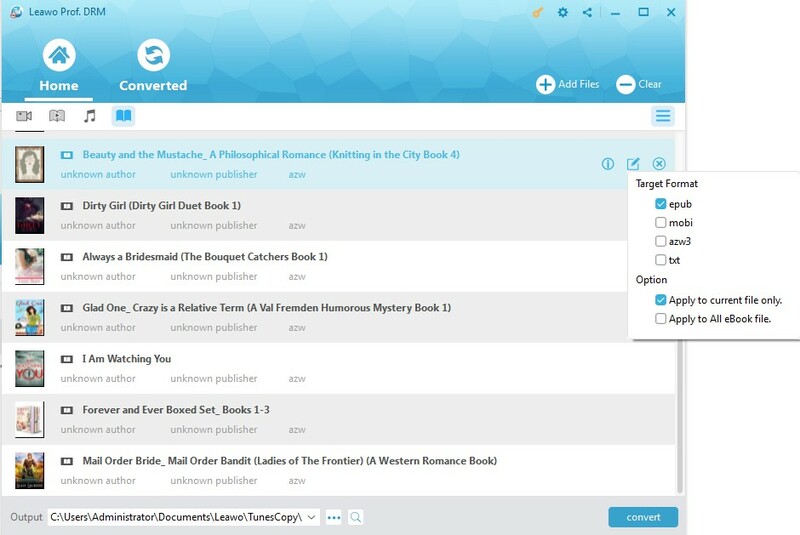 However, your bookmarks, notes, and highlights within the content will be saved to your Amazon account via Whispersync. They are available if you purchase the book in the future. We know that Kindle Unlimited service only allows you to read up to 10 titles in the catalog each time, with any titles switchable anytime you like. With some 3rd-party Kindle book tool, you could actually share Kindle books with your friends or family members easily. Leawo Prof. DRM is such kind of Kindle eBook converter. 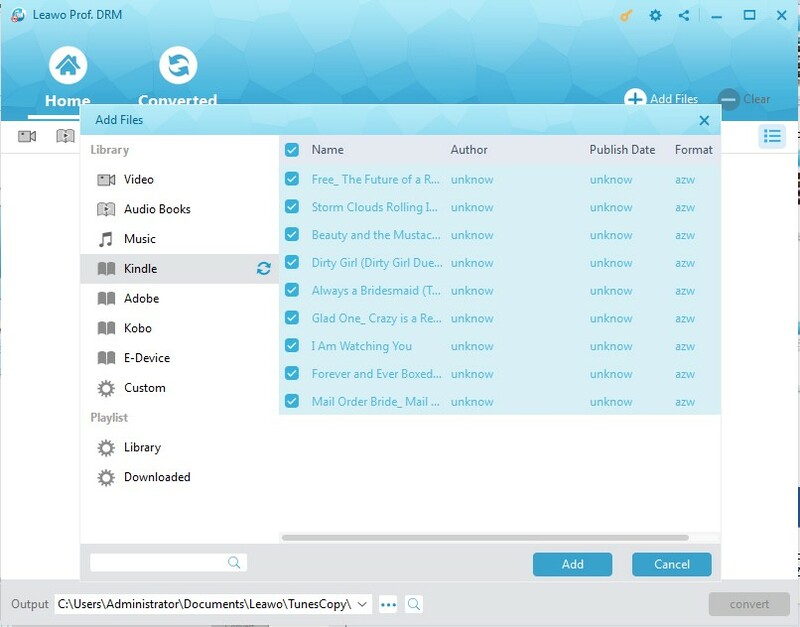 As a professional DRM removal and converter combo, Leawo Prof. DRM could perform as a Kindle eBook DRM removal and converter to help you remove DRM protection from Kindle books and then convert DRM Kindle books to DRM-free ePub, TXT, Mobi or AZW3 book files. Follow the below steps to learn how to convert Kindle books for sharing. Download and install Leawo Prof. DRM on your computer. 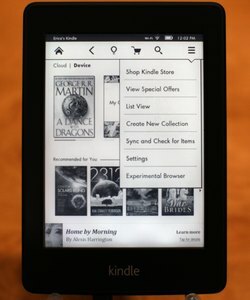 Make sure you have installed Kindle app on your computer and downloaded all Kindle books within Kindle app. 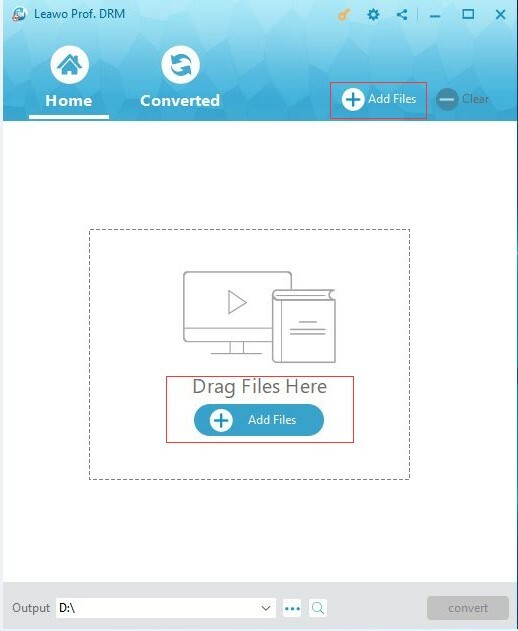 Launch Leawo Prof. DRM on your computer and then click the “Add Files” button. From the “Add Files” window, open “Library > Kindle” tab successively and then choose the books you want to share. Click “Add” button after that. 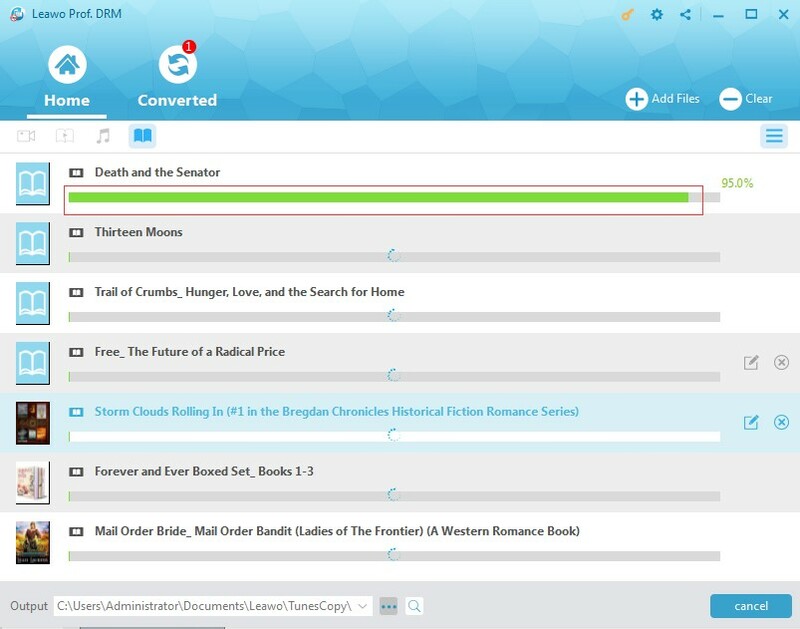 After importing the eBooks, choose a loaded book title and then click the “Edit” icon to freely choose the output format. You could choose ePub, Mobi, TXT or AZW3 according to your needs. Besides, you can also choose to “Apply this output format to all eBook file” or “Apply to current book only” under the “option” button. Move mouse to the bottom and then open the “Output” box to set output directory for saving converted Kindle books. Once all the settings done, click the blue “Convert” button at the bottom for removing DRM from eBook in Kindle. And then convert to DRM-free format. The DRM removal happens in the background, requiring no human interference. When the conversion finishes, you could then freely transfer the converted Kindle eBooks to any eBook reader you have in hand. 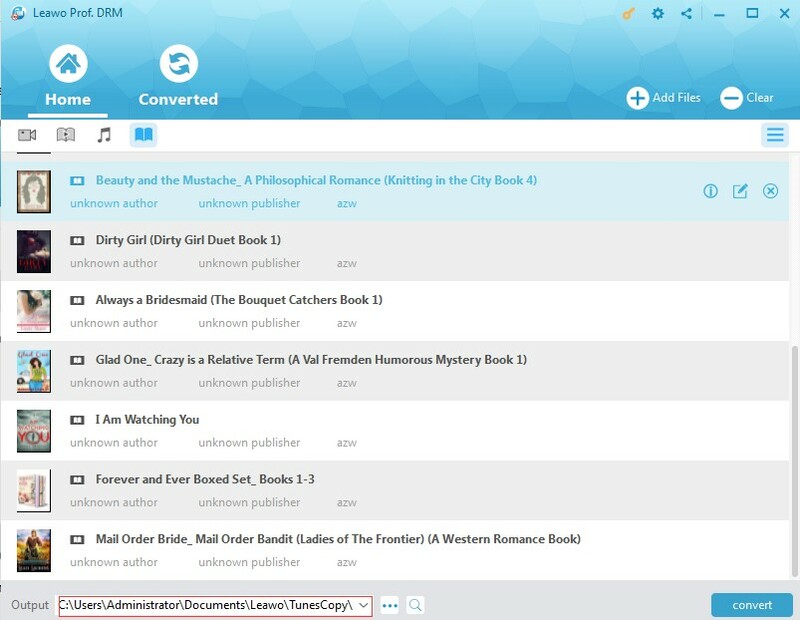 Actually, Leawo Prof. DRM is not only a Kindle eBook converter when performing as eBook converter tool. It could also remove DRM protection, convert Kobo eBooks, and convert Adobe Digital Edition books for unlimited reading. Meanwhile, it’s still a iTunes DRM removal and converter suite that could remove DRM protection from iTunes media, and convert iTunes DRM music, video and audiobooks to DRM-free media files, and a Spotify song downloader to download Spotify songs for unlimited listening. Here in this guide we would like to recommend you some Kindle eBook reader alternatives to help you read eBooks on the move more conveniently. You could actually get more choices in eBook reading. 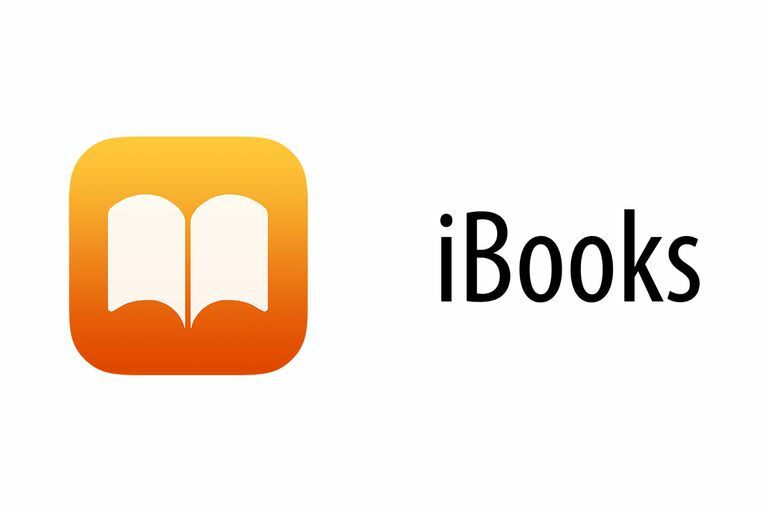 The very first eBook reader we would like to recommend to you is without doubt iBooks, a free app and e-book reader available on the Apple App Store that enables users to search for, download and read books on Apple iOS-powered devices such as the iPad, iPhone and iPod touch. You could add DRM-free ePub or PDF files to iBooks for reading, or even transfer Kindle books to iBooks on iPad, iPhone or iPod for on the go reading. 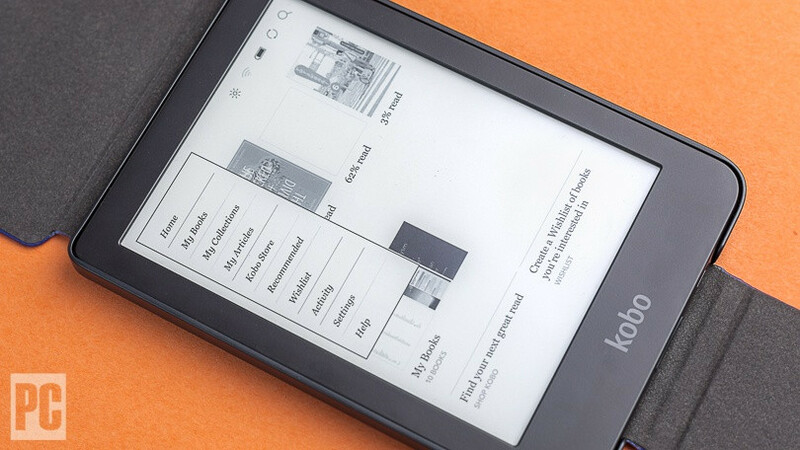 The second Kindle alternative we would like to recommend is Kobo, the world’s No.2 eBook reader. The Kobo eReader is an e-reader produced by Toronto-based Kobo Inc. All Kobo e-readers share a unique pagination system giving users the option to count and reference pages separately within each chapter as opposed to the book as a whole, although the latter is user selectable as an alternative. All Kobo readers require connection to the Internet during the initial setup phase and will not work until it has connected to Kobo’s servers. Kobo e-readers support viewing Epub, Adobe PDF, plain text, HTML, and unprotected Mobipocket (mobi, prc) e-books. It also supports many other formats unofficially such as ZIM. Adobe Digital Edition is an eBook reader for all your Adobe DRM protected books across your Android Devices, iPad, Mac or PC. 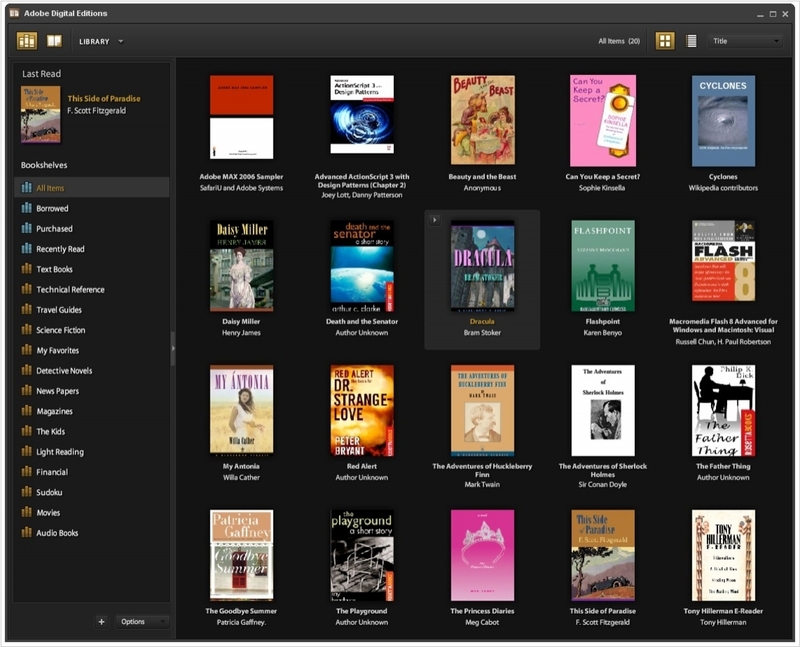 Adobe Digital Editions (ADE) is free-to-download and use, and completely ad-free. Use it to read EPUB and PDF books, both online and offline. Borrow ebooks from many public libraries for use with ADE. Extend your reading experience by transferring books from your personal computer to your Android devices. Organize your books into a beautiful custom library.